"Despite dismal conditions in the world and the personal challenges that come into every life, peace within can be a reality. 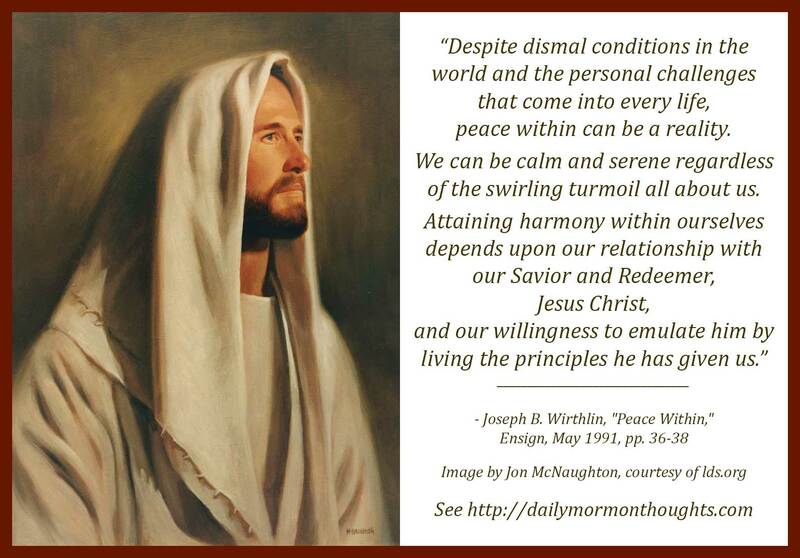 We can be calm and serene regardless of the swirling turmoil all about us. 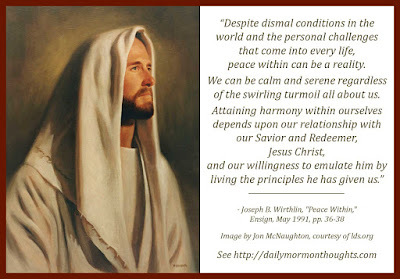 Attaining harmony within ourselves depends upon our relationship with our Savior and Redeemer, Jesus Christ, and our willingness to emulate him by living the principles he has given us. He has extended to us an invitation: 'Come unto me, all ye that labour and are heavy laden, and I will give you rest. Take my yoke upon you, and learn of me; for I am meek and lowly in heart: and ye shall find rest unto your souls. For my yoke is easy, and my burden is light.' (Matt. 11:28-30.)" Church leaders frequently acknowledge the challenges of our times; they are aware of the difficulties we face. While we sometimes assume they "have it all together" and are beyond such problems in areas of "hunger, pain, anguish, loneliness, sickness, and sorrow," I am certain they either face or have faced many of them, and they see challenges faced by their acquaintances and own loved ones. Add to these the situations of divorce, wayward children, financial struggles, those who choose to forsake covenants, and we have a pretty good picture of the difficulties of living in our time. But there is hope! With the Lord's help, we can find peace in the world, in spite of these challenges. 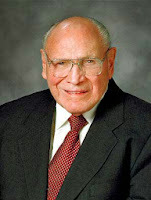 To be "calm and serene regardless of the swirling turmoil all about us" is the invitation Elder Wirthlin presents. That "peace within" comes from "doing the works of righteousness." So much depends on our relationship with the Lord, our understanding of His plan, and our level of commitment to His path. We don't choose the trials and adversity we face; but we choose whether to have peace in our life. Labels: adversity, challenges, hope, Jesus Christ, peace, Wirthlin Joseph B.